Dreaming of a home where you can live the active outdoor life in peace? Here it is! 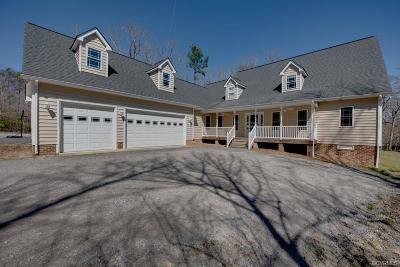 This spacious 4 bed, 4.1 bath house on nearly six acres has all that and more! Drink morning coffee on the screened-in porch. Entertain in the open-plan great room & kitchen, ft. stainless KitchenAid appliances, double ovens, walk-in pantry, and counter space galore! Grill on the large deck, overlooking the pond. There's room for everyone - the first floor has office and owner’s suite with spa-like bath. Upstairs has two bedrooms, plus a larger bed-bath combo adjacent to flex space for a dreamy teen or guest suite! The 2nd floor also features a HUGE bonus room ready to be your ultimate media room or man cave. 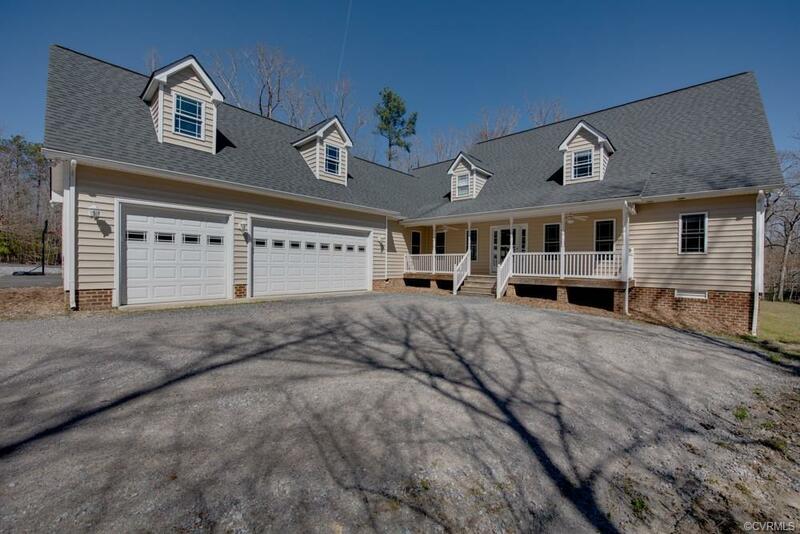 The attached oversized three-car garage has space for your work and play vehicles, and is outfitted with built-in work benches and tool storage. Oversized mud/laundry room has cabinets and attached full bath with shower. Stay warm in winter and cool in summer with three-zoned HVAC and wood burning boiler. Walk up floored attic storage, large shed and much, much more! Washer, Dryer, four-wheeler, Power King kinetic log splitter and Husqvarna riding lawn mower convey. Directions: From I-95, Rt. 10 Toward Hopewell, Right On Ruffin Rd., Left On Old Stage, Slight Left On Lilly Ln., Right On Countryside Ln. House Is First Driveway On Right.